Charlie Estcourt joins Bristol City Women on a short-term loan deal from Reading Women FC. Bristol City Women add the 18 year old midfielder to the squad as their second signing in the transfer window ahead of their home game against Oxford United Women this Saturday, June 25th kick-off 6pm. The Wales international is pleased to join the squad: “It is a really exciting place to be at the moment, hopefully I can bring something to help Bristol get back to WSL1 and I’m really looking forward to the challenge”. The former Chelsea player added: “It’s a big thing to be in a club that is competitive and fighting at the top of the league”. “The set-up here is great, they have training every day and the facilities are amazing”. Bristol City Women Manager, Willie is delighted with the signing: “It is great news for us, its exactly what we needed”. “Charlie brings bags of energy and she is a really exciting young prospect”. The young international player has impressed from a young age, representing her country for the first-time at just 13 years-old in the U16 squad before going on the captain the U17s in the Euro Qualifiers in 2013/14. Estcourt commented: “I made my Wales senior debut last year when I was 16 and I’ve been in every squad since, so its going really well”. Kirk added: “To have such a young player with so much international experience is brilliant for us. She brings youth and experience to the squad in one signing”. The youngster signed for Reading Women FC initially at just nine-years-old before she left to join Chelsea’s Centre of Excellence in 2011. There she made regular appearances in the FA WSL Development League before returning to Reading earlier this year. Charlie will be included in the Bristol City Women's matchday squad who take on Oxford United Women at The Stoke Gifford Stadium on Saturday, June 25th, kick-off 6pm. Estcourt has been training with the rest of the team this week: “The girls are all really nice and welcoming, it is an easy place to settle in and I am really looking forward t the rest of the season. 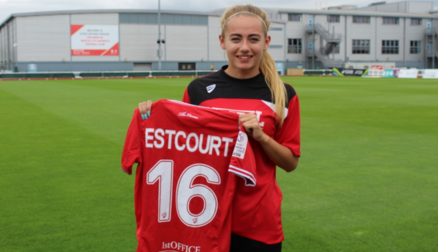 To keep updated on all the latest Bristol City Women FC news follow them on twitter @BristolCityWFC and new recruit Charlie Estcourt via @CharlieEstcourt. 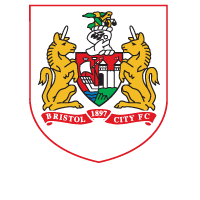 To book tickets for the Bristol City Women v Oxford United game click here.